This might be my new favorite salad. 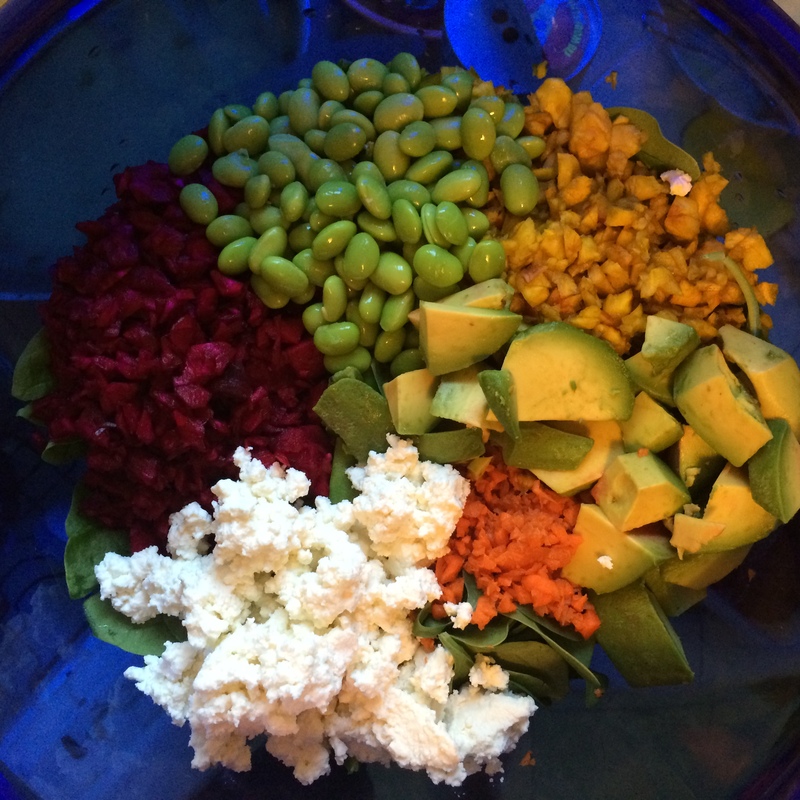 It has all my favorite things: edamame, goat cheese, beets and avocado. It’s the perfect post-yoga dinner, and pretty high protein for a salad! Thanks to Stephanie Schoch for the yummy (and healthy!) Saturday. The Salad: Boil the frozen edmame for 4 minutes or until soft and then separate the peas from the pods. In a food processor, chop the carrots, yellow beets and purple beets until fined. Layer all of the veggies on top of the spinach and toss together. Crumble in the goat cheese. 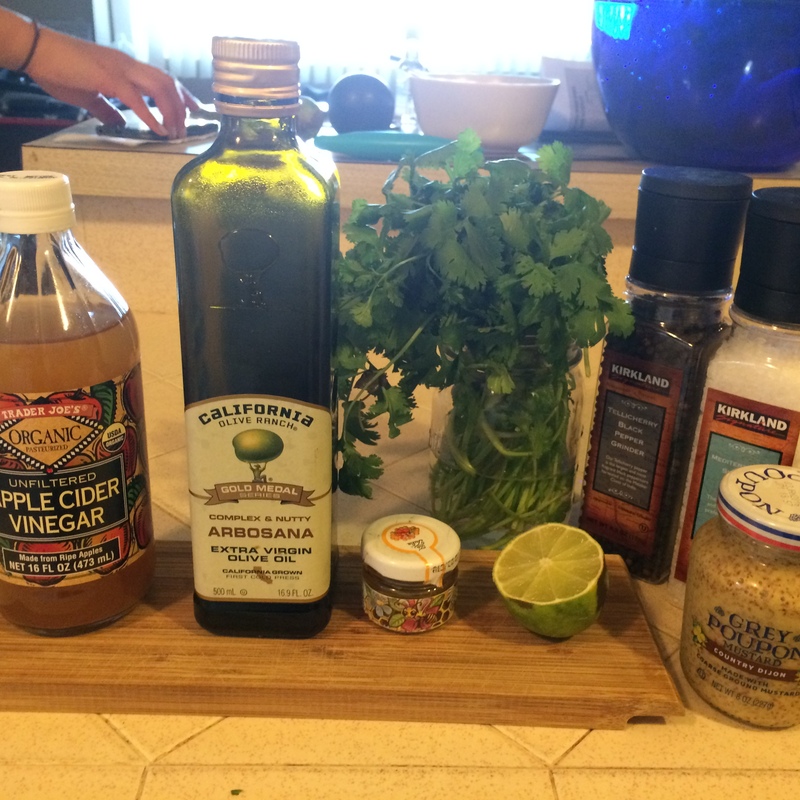 Honey Mustard Vinaigrette: Blend the below ingredients in a food processor until smooth. Drizzle on salad and enjoy!